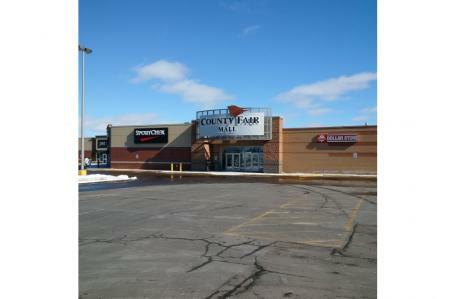 County Fair Mall is a food anchored enclosed mall located along Granville Street, Summerside's main arterial throroughfare and only retail node in the area. County Fair Mall is the dominant shopping centre in western PEI, located in PEI's second largest city. This unit was part of the former Zellers. This section of the mall has been renovated and divided into smaller sections. In this case, the unit faces Gallant Street. Major tenants: Giant Tiger, Sport Chek, Pet Valu, Sobeys, Lawtons. Immediate neighbour: Iron Haven.